For researchers at the U.S. Army Natick Soldier Research, Development and Engineering Center, there just may be no place like dome. 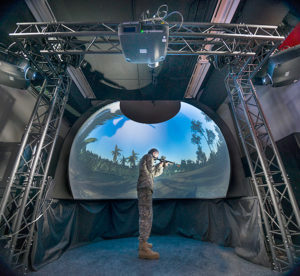 Thanks to its new virtual-reality dome, NSRDEC’s Cognitive Science and Applications Team will be better able to study the impact of real-world operational situations on a Soldier’s cognitive abilities and performance. The concave virtual-reality system provides a full 180-degree horizontal field and uses high-density, front-projection to create a high-resolution, visual world. The system enables participants to have immersive experiences in seamless virtual environments, which are modeled after real-world locations. “This NSRDEC virtual reality capability affords novel applied, interdisciplinary science and technology activities that close traditional translational gaps between laboratory and field,” Mahoney said. “The integration of multiple input modalities, along with multisensory feedback, increases the realism, immersion and engagement on behalf of users subjected to prolonged, workload-intensive activities. 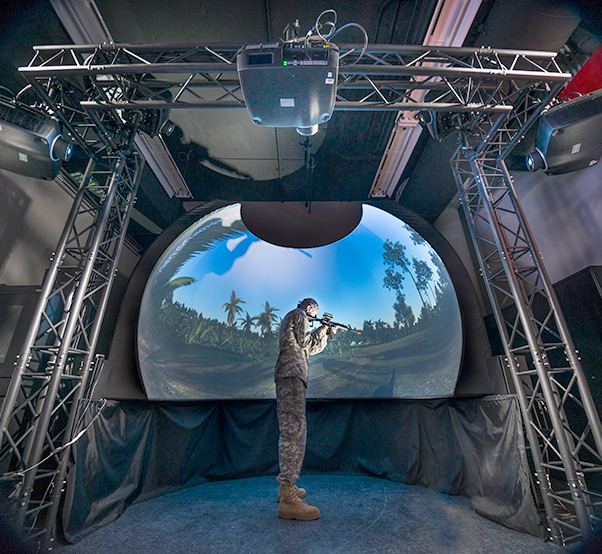 In the virtual dome, users can interact and alter the environment through hand-held and weapon-based devices, which control movement, orientation and weapon aiming. “Individual-level behavior can be elicited through immersive, scripted scenarios, and measured through location and orientation tracking, eye tracking, physiology and neurophysiology,” Mahoney said. The virtual dome will enable researchers to assess the impact of the environment on Soldier cognition, including decision-making, spatial memory or wayfinding. NSRDEC researchers will also be able to assess the impact of new equipment on cognitive abilities. “For example, the Cognitive Science and Applications Team is currently working with Dr. Dave Darkow and the Mission Information Team to develop metrics for measuring cognitive workload during mission tasks and will use these tasks to measure the impact of new technology on Soldier cognition in operationally relevant environments,” Mahoney said. NSRDEC and outside equipment developers will eventually use the Cognitive Science Team’s virtual dome data to aid in the design and development of Soldier technology and equipment. In the future, additional and improved capabilities will be incorporated into the virtual dome. 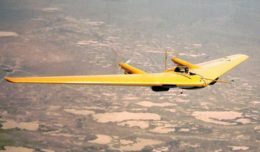 The future additions will include whole-body motion tracking, low-frequency vibration and directional wind. Vibro-tactile collision feedback — which combines vibration and touch to help give participants a physical sense of constraints in a virtual environment — will also be included. “In the coming years, additional input modalities and multisensory feedback will be developed and integrated into the system to increase immersion,” said Mahoney. Overall, the dome will provide extensive new insights into the thinking processes of Soldiers in the field. “Our new, virtual-reality capability provides unprecedented translational value to basic and applied cognitive sciences, allowing us to bridge the gap between highly controlled laboratory research and the inherent richness, dynamics and complexity of real-world Soldier experiences,” said Dr. Tad Brunyé, a member of NSRDEC’s Cognitive Science Team.